“Why Uhuru and Ruto must attend trials in The Netherlands” by George Kegoro in the Daily Nation. I have found possible answers to this question in the record of the first presidential debate that was organised by the Kenyan media in the run-up to the March elections. The moderator, NTV’s Linus Kaikai, explored the question of the trials with Mr Kenyatta against the fact that he was seeking to become president of Kenya. Specifically Mr Kaikai wanted to know how Mr Kenyatta would juggle between attending his trial and the duties of presidency if he was elected to office. On the night, Mr Kenyatta provided well-considered answers to questions surrounding their cases and the presidential bid. Referring to himself and his running mate Mr Ruto, Mr Kenyatta indicated that “it is our intention to follow through [the cases] and ensure that we clear our names”. He added that he considered accountability before the ICC as a necessary step towards ensuring that the kind of problems that Kenya faced in 2007 would not recur. Asked whether the cases would affect his capacity to run the country, he said, “many Kenyans are faced with personal challenges and I consider this as a personal challenge”. He said he considered that since personal challenges did not affect the capacity of other people to continue with their day-to-day jobs, they should not prevent him from doing so as well. On that night, Mr Kenyatta concluded: “I will be able to deal with the issue of clearing my name while at the same time ensuring the business of government is implemented”. Earlier, during the same debate, in answer to a question about his understanding of the problem of tribalism and how he would be different from Kenya’s first three presidents, Mr Kenyatta answered that “we have a new Constitution now” and added that “my job as president is to ensure that the Constitution is implemented”. “The Eagle Has Landed: Kenya and the ICC” by John Githongo in The Star.
. . . History is being made. The ICC has redefined Kenya’s foreign policy totally and turned domestic politics inside out. Immediately after the post-election violence in 2008, Kenyans were clamouring for the ICC to intervene given the horrors that had just taken place. Accountability, justice, impunity, reconciliation and other such words were the primary fodder of political discourse as we headed into the referendum on the constitution in 2010. Indeed, it can be argued that even among those most strongly opposed to the new constitutional dispensation, the dark looming cloud of the ICC and all its implications, especially the public mood that accompanied it through 2008 into 2010, all served to soften them up to demonstrate their pro-change, reformist credentials at a time when the country’s leadership and the messy albeit negotiated coalition arrangement was particularly unsatisfactory to the population. If it hadn’t been for the ICC, perhaps more of the so-called ‘watermelons’ who pretended to support the new constitution while secretly being opposed to it, would have come out into the open with their true position.
. . . Parts of the Kenyan population are in just such a trap: caught between our preaching about and, yes, belief in, good governance and accountability; and its realities when brought to bear in our tribalised, politicised and fragmented political economy. Grimly put – ‘it hurts like hell when it is my tribesman who is being held accountable’. It hurts so much it leads to some of the most gibbering rationalisations of absurdity possible. One of the most brilliant political manipulations we have ever seen took place in the run up to the last polls. It was the transformation of Uhuru and Ruto – who emerged as the primary ICC suspects – into tribal Kingpins on an unprecedented scale on the back of the emotions of victimhood thrown up around the ICC cases. Combined with the carefully cultivated narrative of the ‘tyranny of numbers’ that lulled the voting population and media into accepting what may have been pre-arranged electoral outcomes that were being feverishly cooked up behind the scenes, the scene was set for the most virulently divisive election in Kenyan history in tribal terms at least. The transformation of UhuRuto from suspects to victims was partly achieved by the fact that Raila Odinga, who had contested the 2007 election with Ruto as his turbo charged key ethnic sidekick, was not on the initial list of ICC suspects. The unspoken narrative too – and far more compelling than all the academic reasoning – was that in the post-election violence Uhuru generally was a political ‘first responder’ as the Gikuyu, as it were, faced hordes of tribal opponents across Kenya but especially in the Rift Valley. . . .
A host of sub-narratives had to be manufactured to complete the transformation of suspects into victims and the victims into candidates and the candidates into an administration that ‘won’ an election and is now running a government. . . .It was conveniently forgotten that the ICC was the best friend of millions in 2008 and 2009. When Judge Philip Waki handed over his ‘envelope’ to Kofi Annan, the country was gripped by the kind of excitement that overcomes people watching a cliff hanger at the end of a Mexican soap. The other narrative, though, was that the ICC cases were false anyway: manufactured by ‘NGOs’ who had coached individuals to bear false witness together with other derisively dismissed ‘civil societies’. 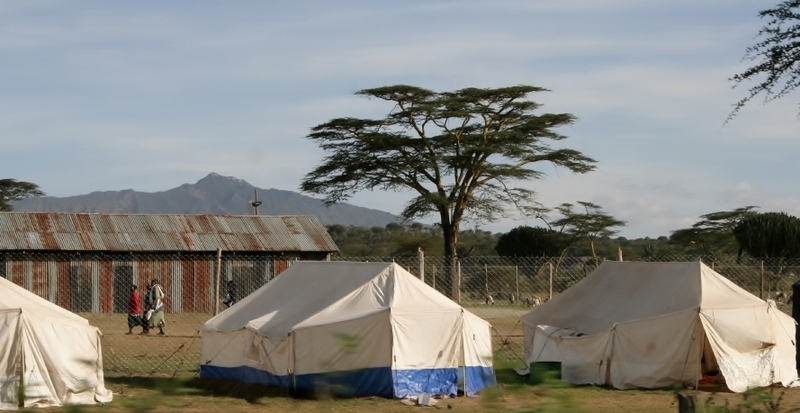 Again it was forgotten that in the worst days during and after the PEV, it was these ‘civil societies’ who were out in the IDP camps with victims; rolling out massive peace-building and reconciliation programmes etc.